At the height of summer, a quiet storm is brewing in the South of France. 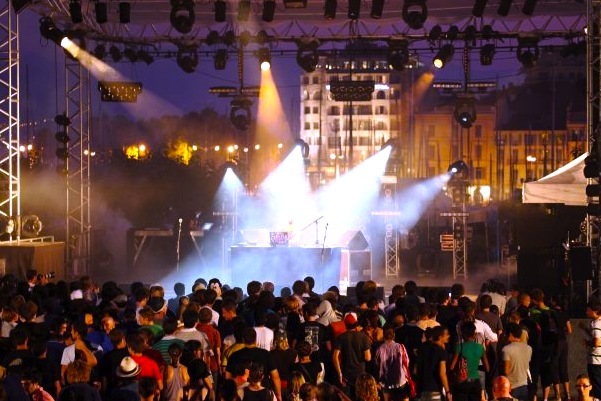 Bringing together the best of indie, rock and electro music, the Pantiero Music Festival is kicking off today in the sun-soaked city of Cannes! Home to one of the oldest and most reputable film festivals in the world, the “Palais des Festivals” will be rocking to some of the freshest tunes around. So put on your dancing shoes, grab your sunglasses and follow umstrum||music every day from August 12 to 14 as we walk you through some of the highlights of this year’s festival! For the 9th year in a row, the Pantiero Music Festival brings together a handpicked selection of artists from all over the world, playing all genres of music and catering to very different audiences. With one thing in common though: passion! Since 2002, the artists that have taken to the stage have consistently wowed fans and critics alike and for this new edition expectations are high. With a lineup that includes Foals, Local Natives, Bot’Ox, Errors, Zombie Nation, Two Door Cinema Club, The Rapture and Mondkopf, Pantiero’s huge rooftop stage overlooking the Mediterranean will be at the center of this 4-day music extravaganza. Join the party! Tune in tomorrow for some hot festival news and an exclusive interview with Local Natives. Find more info about the festival HERE and buy tickets online HERE.